Starting next week the Vice-President, Roxana Baldetti, will begin a tour of Central America to present the proposal on drug “depenalization” (generally translated as legalization but probably decriminalization?) made by the Government of Guatemala and to promote a dialogue in the region. This will be in addition to the talks that President Otto Pérez Molina will have with his homologues in Mexico and Colombia. The Vice-president will be accompanied by Fernando Carrera, secretary of economic planning and vice-minister of external relations, to define who will visit the countries of the Isthmus, starting on Monday, to promote a discussion about drug legalization, a topic that divide Latin America. Panama will be the first country visited, according to the Vice-President. Pérez Molina hopes that the bilateral meetings will allow wide agreement on the proposal, that will be then jointly presented by the Central American nations to the Summit of the Americas, scheduled on April 14 and 15 in Cartagena, Colombia. The joint proposal will have for main objective to promote the dialogue and debate of all heads of state of the Americas and of the world, to look for alternatives to stop the conflict between rival narco-trafficking groups and the deaths it generates. In addition, the Foreign Affairs Minister, Harold Caballeros, discussed the proposal with US Secretary of State Hillary Clinton during his visit to Washington, during which he reaffirmed Guatemala’s commitment to the fight against narco-trafficking. Pérez Molina informed that Clinton recognized the importance of the topic, and assured that it will be considered by the US authorities to elaborate a declaration, however the US embassy in Guatemala already expressed its opposition to the initiative. The President said that he had a phone conversation with President Laura Chinchilla of Costa Rica, who wishes to study the proposal and promised to nominate someone to meet with the Guatemalan authorities and study the guidelines in details. In the next few days, the president will seek the support of Presidents Juan Manuel Santos of Colombia and Felipe Calderón of México for the submission of a strengthened proposal. US ambassador Arnold Chacón reiterated that his country does not share the proposal, but he will remain pending dialogs by the authorities without getting involved. The tour could attract support, consensus and reservations, affirmed David Martínez Amador, Professor specialist in Organized Crime, where the members of the Northern Triangle, El Salvador and Honduras, could be responsible for providing the approval to the proposal. There could be some reserve in Costa Rica due to its close relationship to the United States, as well as Nicaragua where the crime situation doesn’t seem to indicate a relation with narco-trafficking. One of the next steps, according to Amador, would be a clear and timely presentation of the proposal, to determine what kind of drugs should be legalized. The government of President Daniel Ortega of Nicaragua is widely suspected to work directly with the drug cartels, which is probably why narco-violence is inexistent in Nicaragua. 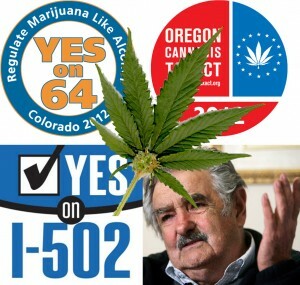 Molina has all reason to suspect that he will oppose drug legalization.